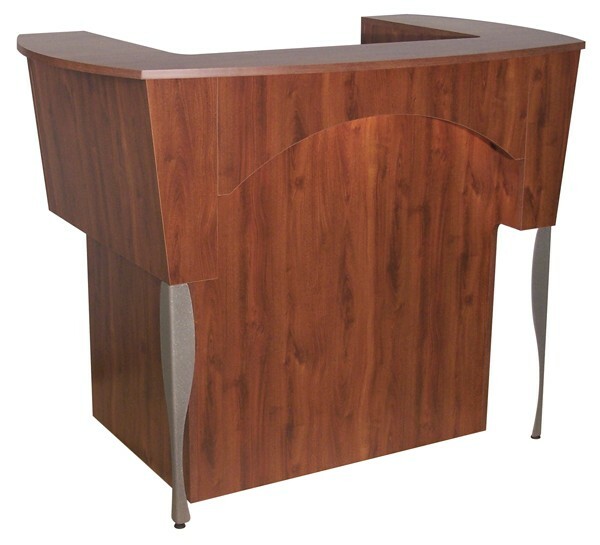 Curved lines and modern styling in a practical reception desk. Available with optional locking cash drawer or with optional lower storage and cash drawer. Shown with optional valence trim panel under check writing shelf. Valence includes accent light. Two metal legs in choice of powder coat paint colors, choice of knob styles. 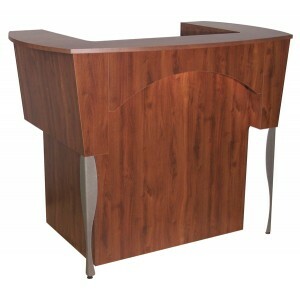 Available in all Belvedere standard laminates.